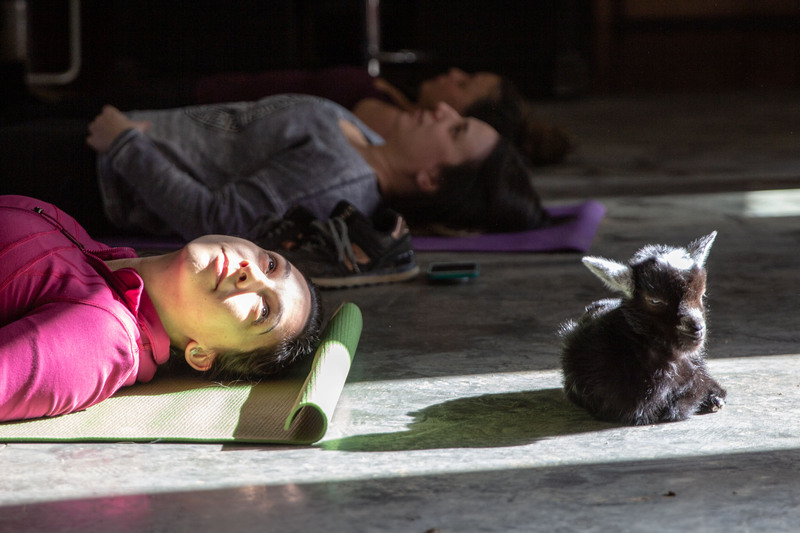 Come bend with Goat Yoga Asheville, an interactive yoga class that helps you get zen with goats. 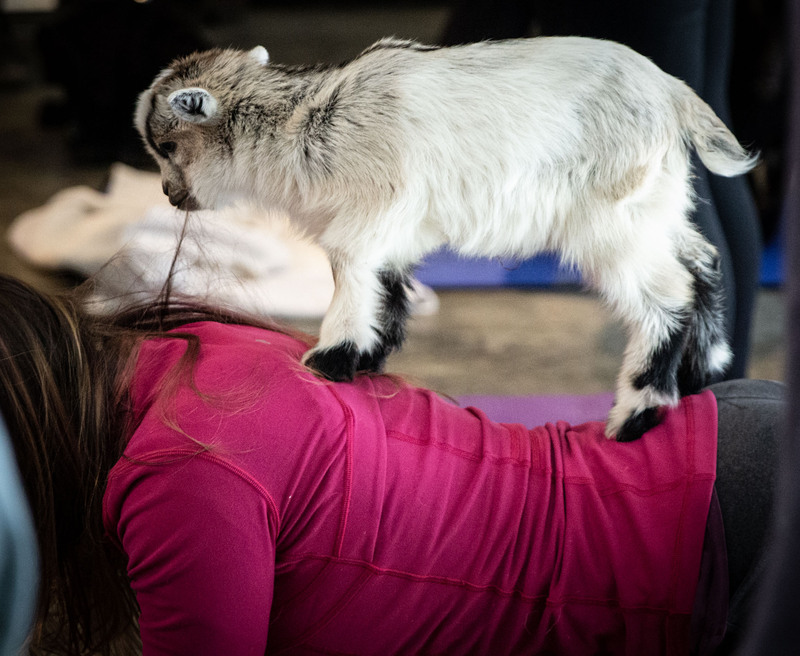 The classes are for beginners, & great for those new to yoga or those who need more baby goats in their life! 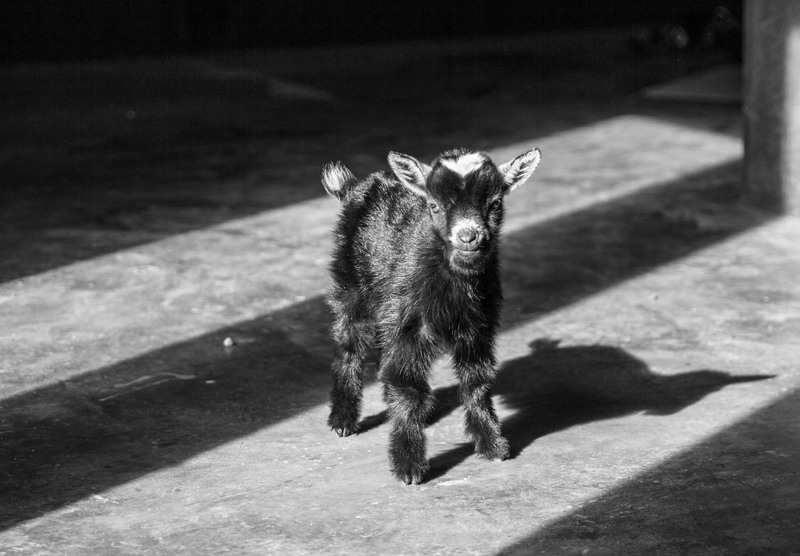 Go to our facebook page and guess the name of our newest baby goat to win tickets! Get your loved ones the gift that bends to any occasion. 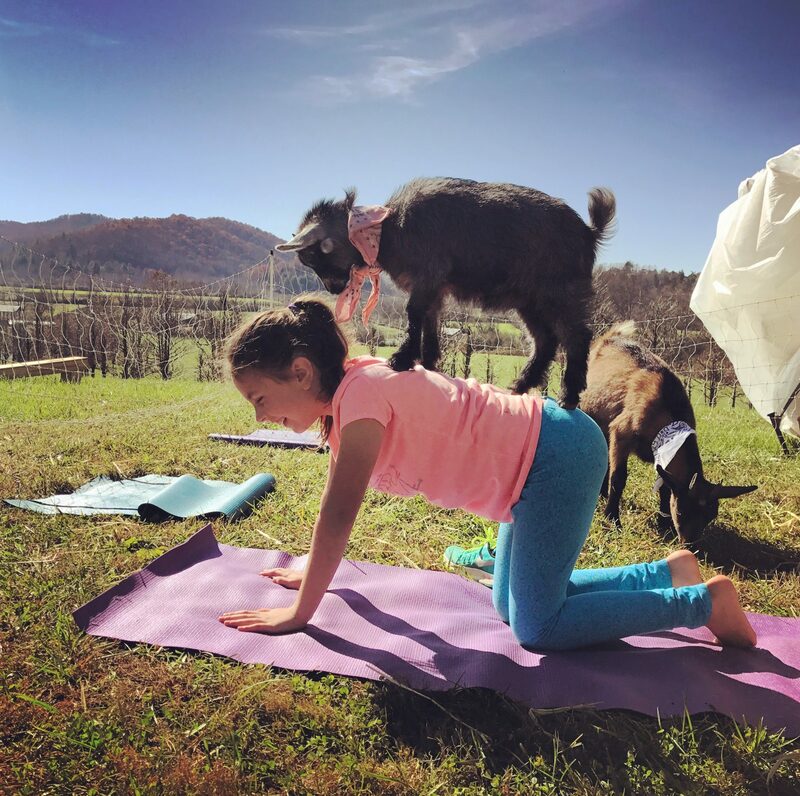 Goat Yoga Asheville gift certificates are available for the 2019 season! Just click the link below to get yours today! 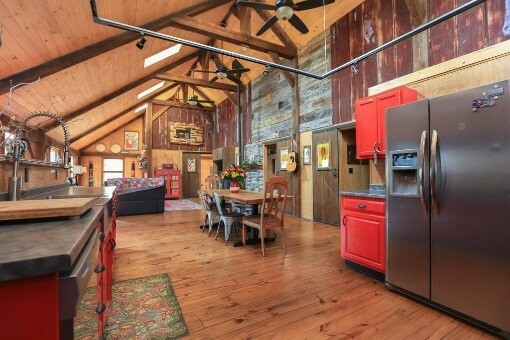 ​​1) Our Rustic Chic Venue! 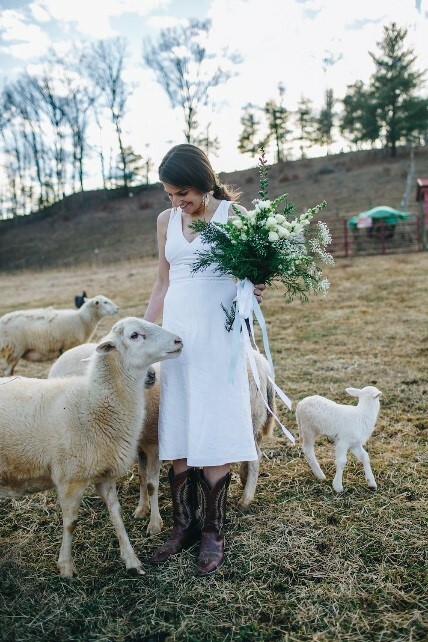 Franny’s is a real working farm, but don’t let that fool you, it can be transformed into the wedding of your dreams! 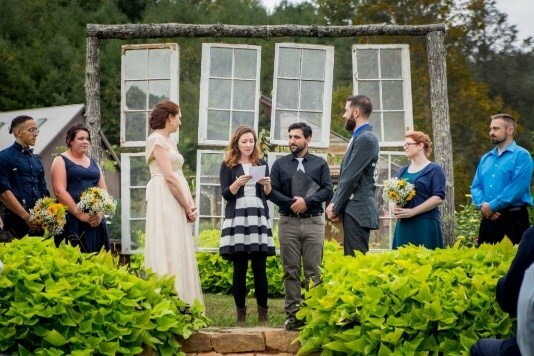 With all the ceremony locations you are sure to find the perfect fit for your big day! 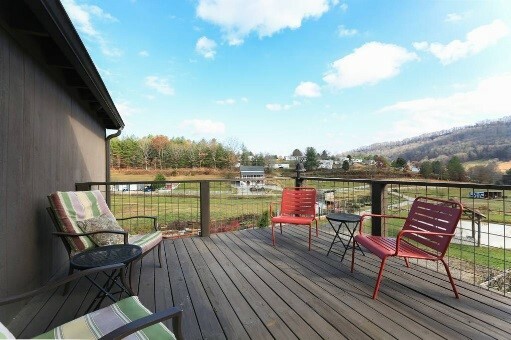 The garden site is the perfect spot to add a chandelier and draping or even windows! 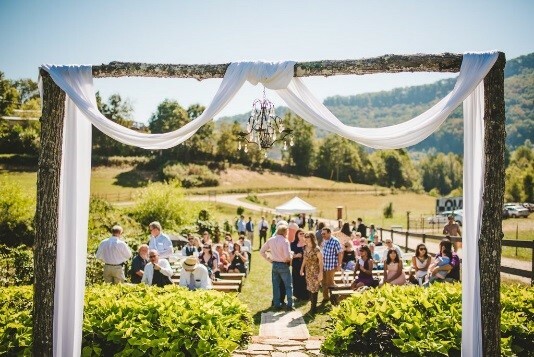 The farm is a beautiful backdrop for a relaxed rustic inspired celebration and with all the natural character, it doesn’t require a lot of added décor. 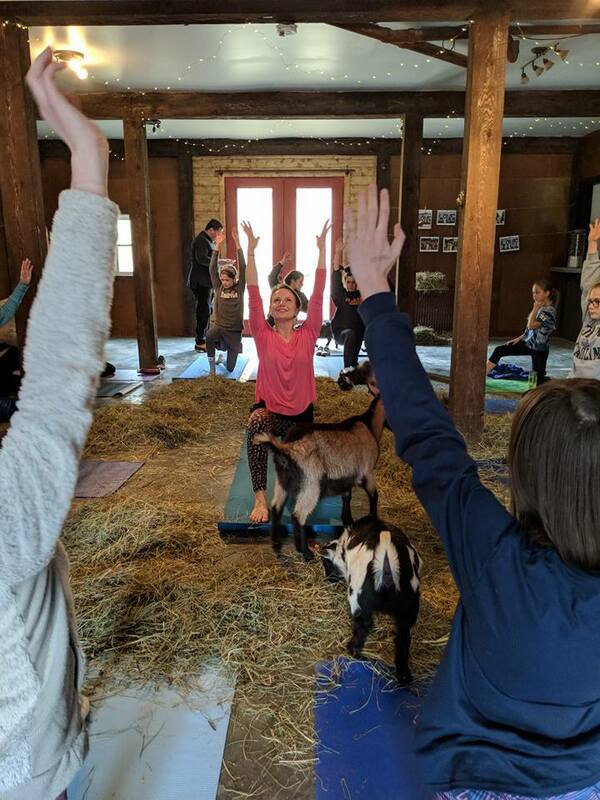 If you are looking to have a weekend event, Franny’s is the place to book! From your Rehearsal Dinner to the Farwell Brunch we have tons of locations for you and your guest to enjoy. 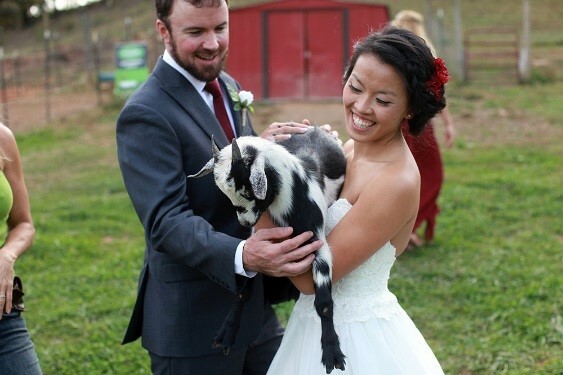 Our Lodging options on the farm are enough to fit your wedding party and guests! 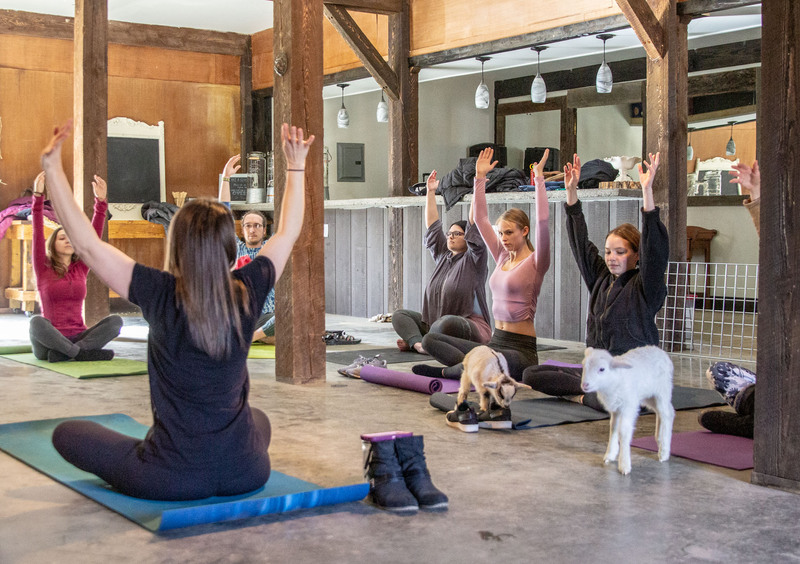 We have The Barn House, 5 Eco Cabins, and unlimited camping! 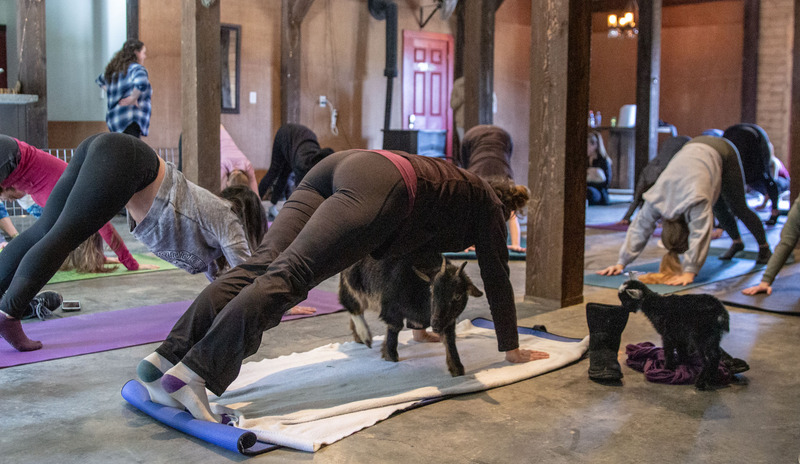 My personal favorite is The Barn House, which is required with your venue booking. 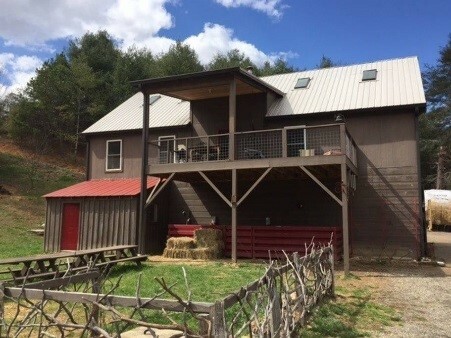 It is a great place for your bridal party to get ready and with a deck overlooking the farm where you can oversee all of the details coming together for your big day! Franny likes to call the farm the “Bowl of Heaven” and I know why! 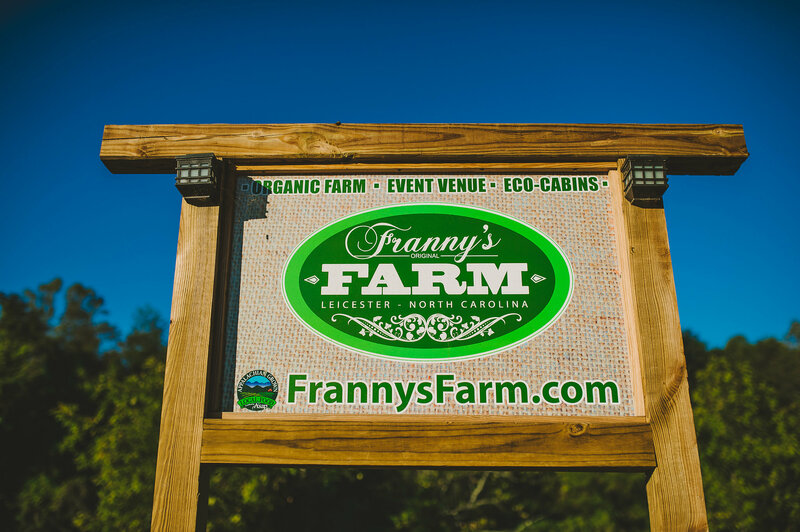 Take a trip to Franny’s and see for yourselves the beautiful landscape and mountain views surrounding the 33-acre property, truly feels like you are sitting in a bowl of beautiful nature… from flowers, to hemp and all the little creatures that make this venue so special. 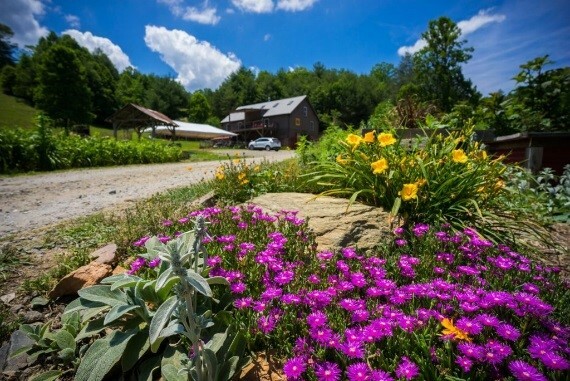 Franny plants during the spring and summer months creating this beautiful vision for you and your guest to enjoy. 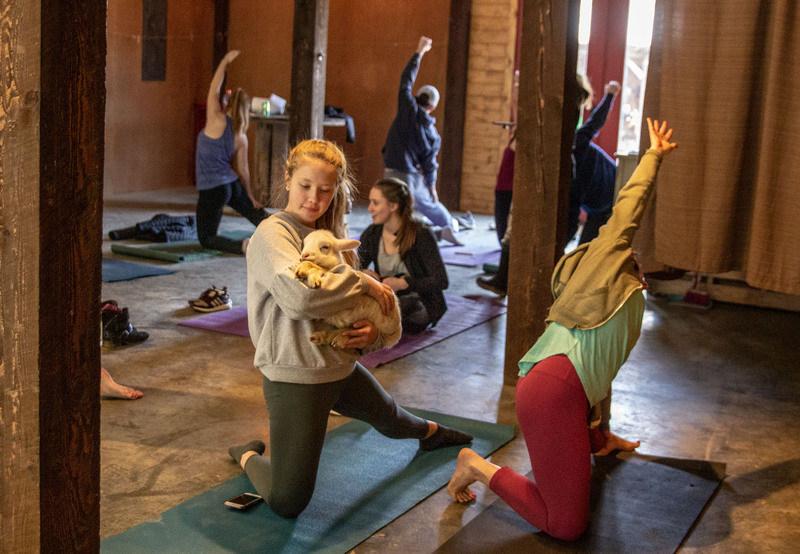 Franny’s just recently introduced all-inclusive packages for our clients who would like a little extra help. These 4 packages, Elopement, Silver, Gold, and Platinum are all designed with our clients in mind. 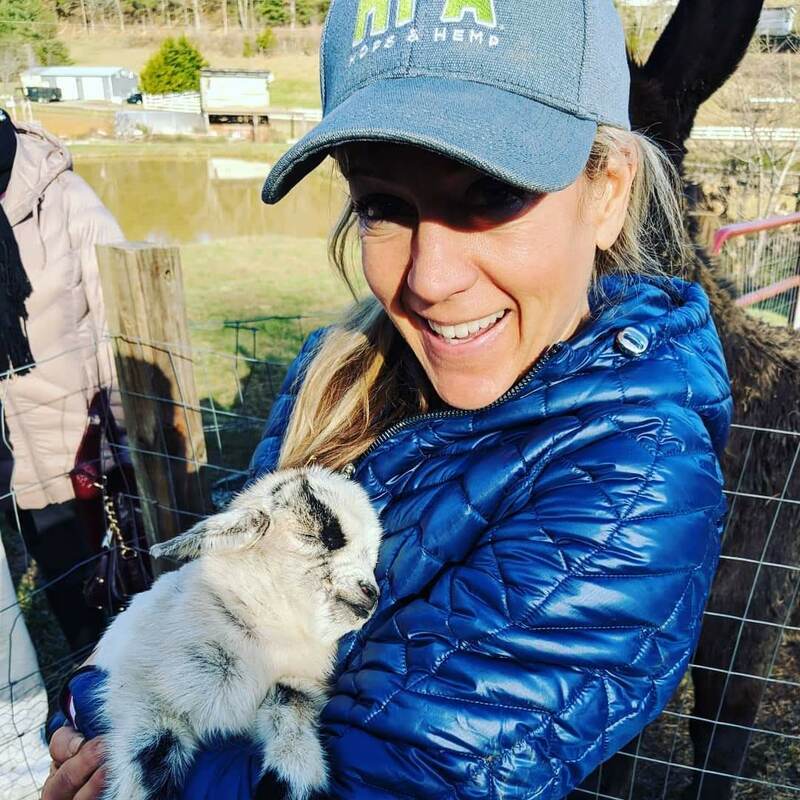 These packages are an awesome addition to Franny’s Farm and a great way to make your special day stress-free! 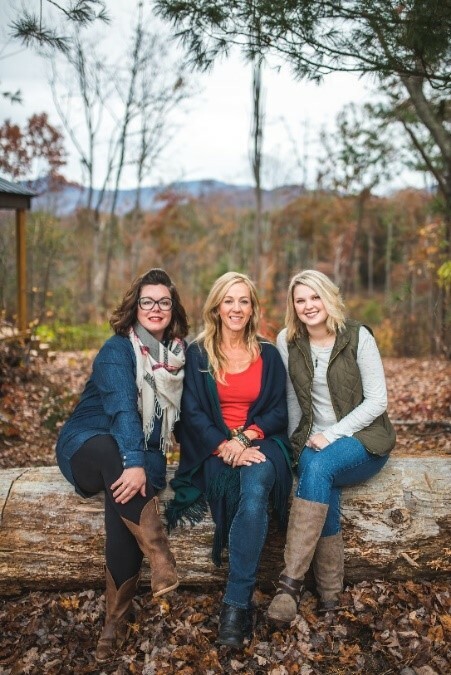 Let the professionals take care of you… We pride ourselves on working with the best vendors in the Area so we look forward to creating a special package for your wedding vision.. Take a look at the ladies in charge, how will be creating and helping with your special day! 5) The Animals! Need I say more? 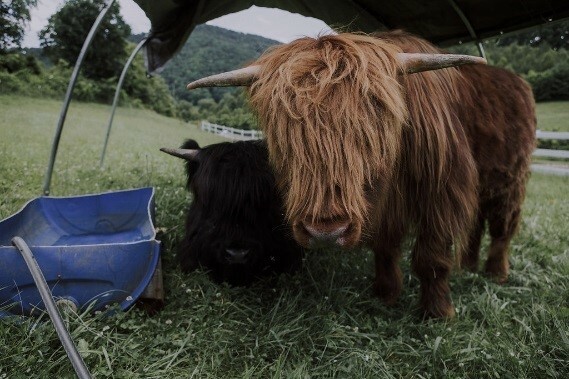 Franny’s Farm is home to an array of animals such as chickens, sheep, goats and two highland cows and a donkey. Yes, they all have names and come when you call them or at least when Franny does.. ha! 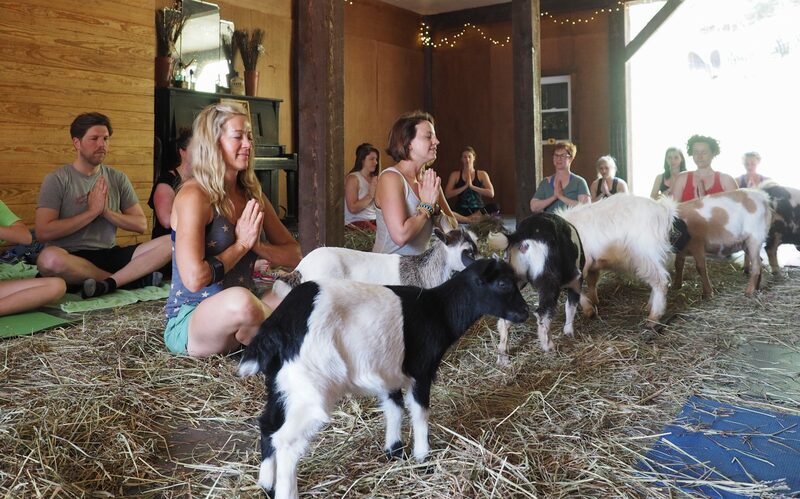 Your guest will love to visit and interact with the animals located around the farm. 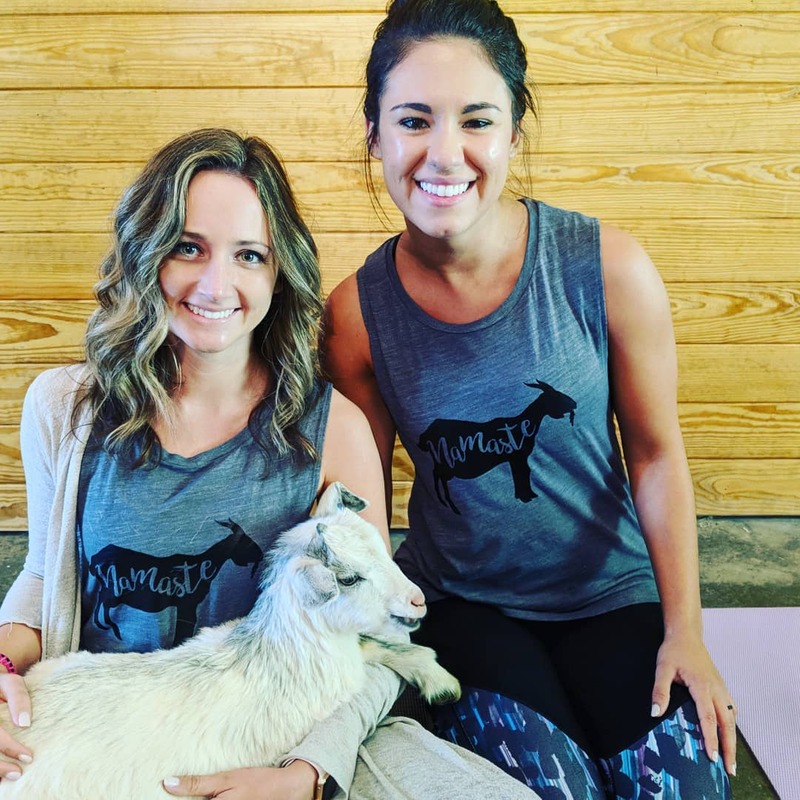 And if that’s not enough, add on Goat yoga for you and your bridal party to attend the day before your wedding! 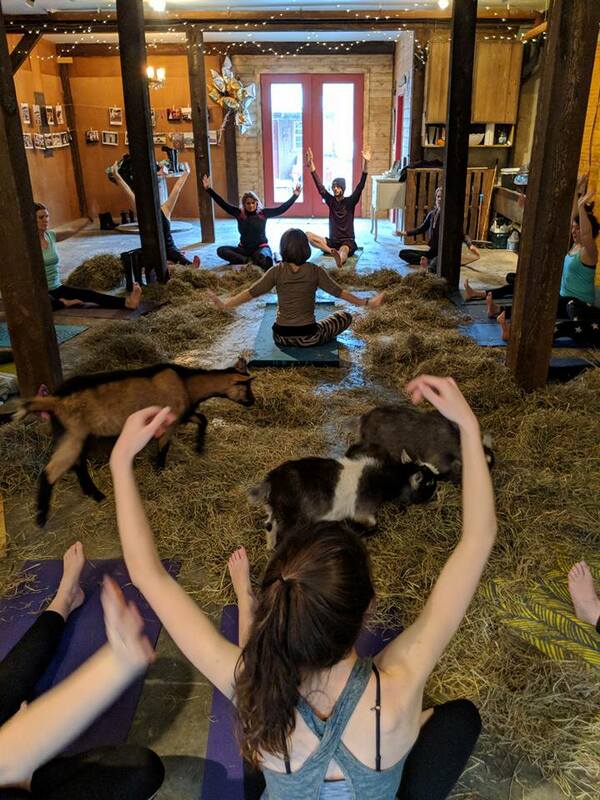 Yes, baby goats for a fun filled day of excitement. 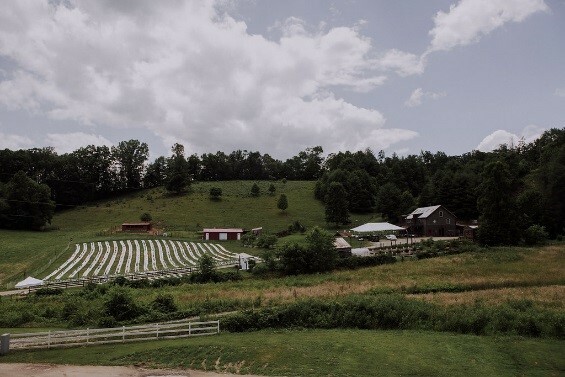 We look forward to hearing from you and would love to give you a tour of the Farm for your special day! 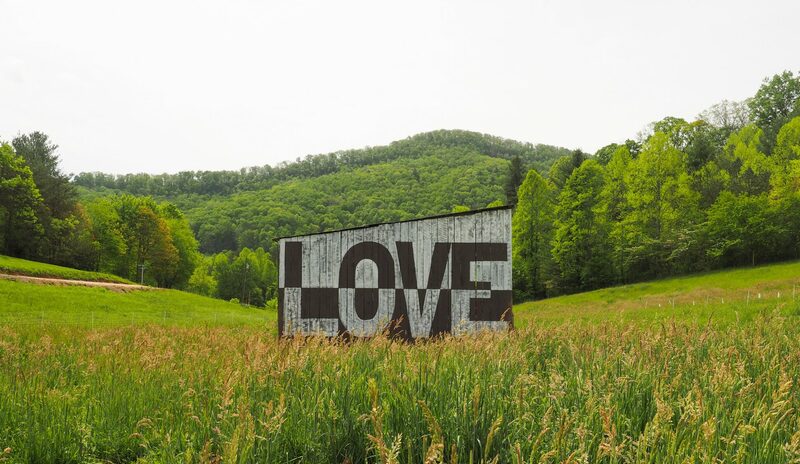 Contact us at events@frannysfarm.com or call us at 828.239.0938, we look forward to working with you. 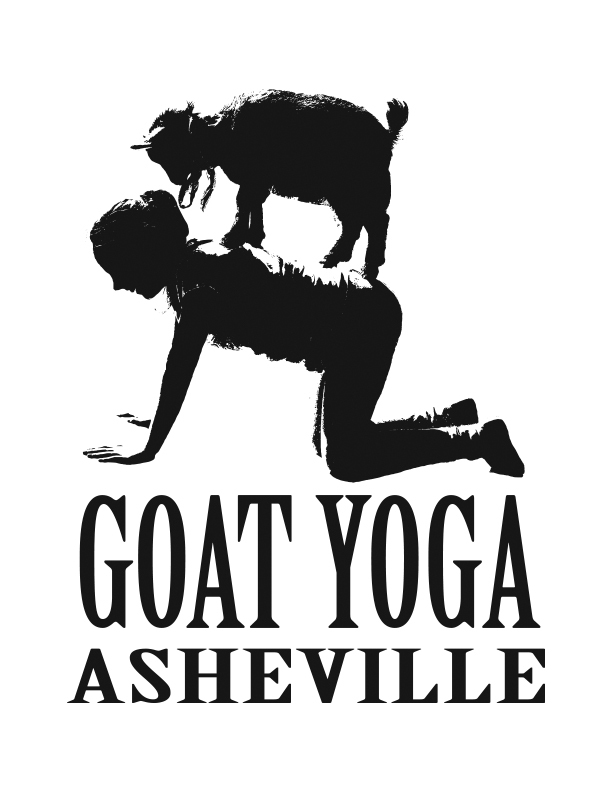 Go to our facebook page and guess the name of our new baby goat to win tickets!